Lucid Recess | OK Listen! 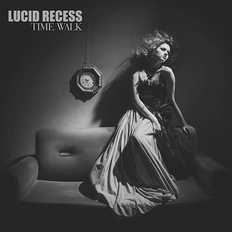 Formed in 2004, Lucid Recess believes in making music that appeals to both the head and the heart. Primarily focused on writing catchy and intelligent alt-metal nuggets with lyrics that normally talk about life and its many constituents- LR- from the very beginning- have remained truly unbarred of commercial whims and predicaments. LR’s sound revolves around a backbone of bassline build-ups that runs deep through the distortion-filled torso of this Alt-metal body. Rebellious tones play like vinyl on a turntable pushing aggressively through a crowded room, pressing ever more to be heard through the inconsequential bodies that surround. They’re a marriage of simple rhythm with a symbiotic guitar and drum relationship effortlessly delivered in three minute stripped down bursts. ‘Tribe’ their latest single from their debut album ‘Engraved Invitation’ released earlier this year punches a solid combo of skill and imagination: a head shaking, guitar twanging, and snare smashing song, with vocals that slap you in the face. One of the most sinister bands of the North-east- one’ that’s bound to set the cats among the pigeons.